Wow! Love my new shower! Beautiful products and installation. Thank you Kevin and Jim! We just had a bathroom remodel done by Bath Planet of the Southern Tier. The work that they did was just Top Notch and superior at best! We are happier than anyone could ever imagine! Their professionalism and honesty were two qualities that we had hoped they exhibited with this job. We knew nothing about Bath Planet nor did we know anyone that had work done. So we went into this remodel blind, just hoping that they were a honest company. They completed our job beyond expectations and would recommend Bath Planet to anyone looking for a Superior company! 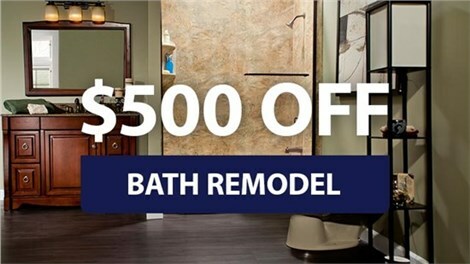 We just had a complete bathroom remodel done by Bath Planet of the Southern Tier. We could not be happier. Kevin (the installer) was very professional and a true gentleman. He was such a hard worker and his craftsmanship was by far, superior and beyond anything we had ever hoped for. Jim, the owner was very pleasant to work with. I would not hesitate to have Bath Planet back again! They are Top Notch for sure! The entire crew with Bath Planet of Southern Tier is professional and completes every job with care!